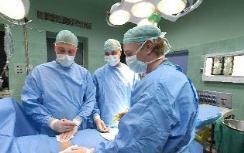 A Knesset committee has approved a bill to regulate compensation for kidney and liver donors. A Knesset committee has approved a change in the law regulating compensation for organ donors - one that will prove to be advantageous to those who donate a kidney or part of their liver. The Knesset Committee for Health, Labor and Social Affairs approved a bill that would allow donors to be compensated to the tune of two monthly salaries, plus the costs of psychological counseling, health and life insurance, and sick leave. The Health Ministry said the bill comes as an amendment to the existing Organ Transplant Law, which was written in 2008 to prevent organ trafficking. The law, covering organs harvested from living humans and those who are deceased, prevents the granting or receiving of compensation for donating an organ, but does allow for covering the out-of-pocket expenses of the donor. The new bill will create a "safety net" against financial and health damages that may be caused by the organ donation, including payments for the purchase of life insurance, health insurance, disability insurance, coverage for psychological care and reimbursement for sick leave. The ministry said the principle used to decide how remuneration is granted was guided by the insistence that the compensation be connected with costs incurred by the transplant and its resulting consequences. In addition, the ministry said it is trying to strike a balance regarding the amount of the compensation for the donor expenses. On the one hand, the amount should reflect the true expense to the donor, in order not to have donors incur financial loss, while on the other hand, the sum should not be such that it might tempt someone to become a donor in order to strive for independent wealth. The bill is aimed at avoiding even the appearance of organ trafficking.